There is no questiont that Apple’s new 27-inch iMac is stunningly beautiful. However, the super model thin body and ultra-crisp display come with tradeoffs, like upgradeability and a $100 across the board price increase. Yes, the 2012 iMac reviews are in and the verdicts are overwhelmingly positive and the caveats are generally minor. 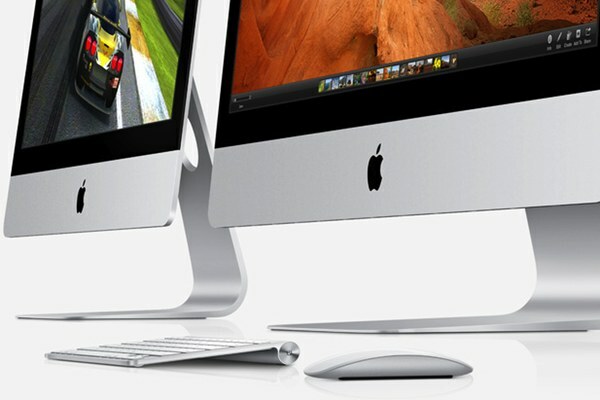 • The Apple iMac 27-inch (Late 2012) all-in-one PC is the pinnacle of desktop design and manufacturing. It’s not perfect, or cheap, but it’s worth every penny —Brian Westover, PCMag. • DIY enthusiasts may miss the upgrade possibilities, but everyone else will be enjoying an incredibly capable computer. With strong performance the 2012 iMac proves that beauty needn’t be merely skin-deep, and that all-in-one needn’t mean conceding speed. That, and Apple’s creative use of components and design, makes it our pick of the all-in-ones — Vincent Nguyen, SlashGear. • And while Apple doesn’t always win on specs, it makes a tempting offer here: you get beefier graphics than on competing systems, which should help creative professionals, amateur photographers and casual gamers alike … If DVD drives and touchscreens mean little to you, though, the iMac remains the best all-in-one on the market — Dana Wollman, Engadget. In absolute terms the big, high-end iMac is fastest, but the 21.5-inch models offer better bang for the buck. • That said, the absolute performance leader is the top-end 27-inch iMac with the optional 3.4GHz (+$200) processor upgrade. However, with a Geekbench score of 12857 and priced at $2,199, bang for the buck at just 5.846 (see table) isn’t impressive. Less attractive still are the numbers delivered by the two stock 27-inch iMac configurations. In fact, the best bangs for the buck are the 2.7GHz entry-level and 3.1GHz (+$200) processor upgraded 21-inch models with the later easily delivering the best value —The ROCR, Fairer Platform. • This is a great time to jump on board with iMac, since Apple will likely stick with this design for a while now, and future iterations for the next few years will likely be less dramatically different. I’d spring for the extra 8GB of RAM were I to go with the base model, but that’s just personal preference. The base model iMac should satisfy the computing needs of most, even with the default configuration —Darrel Etherington, TechCrunch. • Apple again delivers the all-in-one desktop to beat, with brisk performance and a glorious thin-edged, reflection-fighting display as well as Cupertino’s classy, admirable software. Perhaps the most pleasant surprise: Avoid the options, and you (almost) avoid the famous Apple price premium —Eric Grevstad, Computer Shopper. So who needs Apple’s biggest, most expensive all-in-one desktop? Photoshop, desktop publishing and video pros will obviously benefit the most from the 27-inch 2012 iMac’s superior graphics and generous screen real estate. A straight Apples to Apples comparison, however, will push buyers toward the 21.5-inch models. The price to pay here, though, is that these models offer no user upgrade options, not even RAM. Nevertheless, regardless of need, absolutely nothing has else has the performance and pure, unadulterated eye candy appeal of the 27-inch iMac — friends, family and coworkers will stop and drool.